There are echoes of Eden in our pain, a longing to slide past the angel’s burning sword and, though singed, reenter Paradise. The Bible and all human experience is haunted with our loss. Shortly after the Fall in Genesis 3 we read a refrain that’s as hateful as it is perpetual. “And he died…and he died…and he died…” Death has us and we have death. We are handcuffed together in a prison we built while free. We feel the loss of innocence in our transition to adulthood, a taste of the death we live through. I believe we don’t so much lose innocence, but we lose the illusion of innocence, and that all our long life is a waking up to who we are after the Fall. We are broken, and coming to understand this is a weight unlike anything we may otherwise bear, for it is the root of all our burdens. We wake up in ruins, lost in the woods of despair, searching for the slightest sign of the trail of hope. Light for the Lost Boy is a journey through this disaster. And I do mean through. Winston Churchill said, “If you’re going through hell, keep going.” And I am glad that in every song, or in every next song, Andrew Peterson once again speaks through the hefty gloom, Yes it’s awful this being unparadised, and it’s an almost unsingable tragedy to lose the illusion of innocence that is youth. I know. But keep going. Andrew played several of these songs for my brother Josiah and me about 9 months ago. They were fresh then, and as he played they did what Andrew’s songs always do –settled inside me, told me about myself, uncovered hidden hurts, opened windows and let in air that seemed to waft in with rumors of the New World. All the songs on Light for the Lost Boy resound with the mystifying beauty of our exile, and ring with the clamor of our eventual re-ascension. We will all be free and children again, only mature and with a better tale to tell in the future forevers of Heaven and Earth. Hear a herald of that dawn, a troubadour of troubles almost-but-not-yet past. Come Back Soon is the most explicit recital of our peril, and he gives voice to our deep need to cry out, “Deliverance, oh Lord!” Rife with metaphor, with images we understand, here is Andrew at his most poetic. The musical tone suits the weight of the calamity we need so desperately to be delivered from. Where will help come from? As with so much of this album, the next song provides context to the pain woven so far. The Cornerstone (King Jesus) is not the simple, easy to classify, solution that always stumps the atheist in arguments and fits neatly on a kitten poster. Salvation came, but oh, so untamed. You’ve been a mystery since the moment that I met you / You never move but I can never seem to catch you / The Cornerstone. Rest Easy is a further journey into the happy reality of this confusing, conquering Savior. The song is deeply comforting, settling on us like a warm blanket in winter. I have smiled over and over hearing this song and, very often, physically relaxed when hearing its hooky recital of the good news. …you don’t have to prove yourself, you’re already mine. You don’t have to hide your heart, I already love you…You can rest easy. The Voice of Jesus is one of the many songs on this (and every AP) record that gets deep into a parent’s heart. Reassuring, comforting, and hopeful, this is a sweet reminder of the unfailing love of the Author and Hero of this Story. The beautiful and precious young voice you hear in background is the perfect addition to this memorable tune. That would be Andrew’s daughter, Skye, who is both a subject and star of this lovely song. So listen, little girl, / Somewhere there’s a King, / Who will love you forever / And nothing in the world / Could ever come between / You, my love, and this Lover. I know what The Ballad of Jody Baxter means. I know because of Andrew’s words, and I know because it’s the song of every broken-hearted grown-up in the world. It’s the song of every man who wishes he could return to a time before he explored that dark hallway of curious desire that issues in a room finally revealed to be a pitt with unscalable walls. It’s the song of longing for what we cannot lay our hands on, but still feel the imprint of in our palms. I love this song. It is devastating in its beauty and truth. It might be my favorite of them all, even in its sadness. The transition from The Ballad of Jody Baxter’s “It was good, good, good, but now it’s gone, gone, gone,” to Day by Day’s “And it hurts so bad, but it’s so good to be young, and I don’t want to go back, I just want to go on, and on, and on” is a saving one. It immediately framed the pain of loss that I felt so keenly (and almost deliciously) in Jody Baxter. Day by Day doesn’t pretend that growing up is painless, only that it is inevitable and needs to be met with courage and, well, thankfulness. But he’ll get to that more specifically later. Shine Your Light On Me is a song that echoes the creed. It is Andrew saying, “I believe in the communion of saints,” and it braces us with the comforts he has received in fellowship. It’s personal, anecdotal, and honest about need. Andrew shows us that in our darkest moments the light we ask God for is most often revealed in the faces of those he has given to us. And Andrew tells everybody who will listen that he has received this gift, sings how badly he needed to receive it, and he gives us so much when he does. Carry the Fire is Andrew saying he’ll do the same thing that’s been done for him. It’s the reciprocity of grace. Much has been given, and he will carry the fire for a brother who is in desperate need of that grace. He will hope and help when all the light and warmth feel gone. Here is a very tender man singing a hopeful song for another man, acting as a poetic corrective to the often ungraceful culture of masculine emotional reserve. Like C.S. Lewis, Andrew has given us a positive picture of male friendship. You’ll Find Your Way is the song of every faithful parent for every beloved child. Andrew looks into a future with an ache and a hope for his son’s joy in the journey, broken heart, carried cross and all. He knows the boy will get lost (as we all do), but the song is a map. Follow the old roads. Get home the same way every saint ever has. The world is a perilous place, but remember the map. Remember the path. Andrew gives, as all good parents wish to, past his own ability to give. Don’t You Want to Thank Someone is the absolute perfect way to end this record. Like the book it so often colludes with, Ecclesiastes, it acknowledges the pains and pleasures and the riddle that is life. And it says, with a straight face, be glad. Be thankful. This song feels like it were written while G.K. Chesterton’s Orthodoxy or N.D. Wilson’s Notes From the Tilt-A-Whirl were running through Andrew’s mind. His lyrical connection to the best of literature is once again unmistakeable. Allusions abound and poetic metaphor, accessibly deep, is the rule for Andrew’s masterful lyrics. Don’t You Want to Thank Someone? I do. I want to thank God for Andrew Peterson. Apart from my personal affection for, and gratitude to, him, he is a gift to the Church. He is a herald of grace and an usher of beauty. 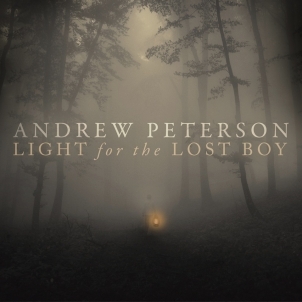 Andrew is indeed a gift, and Light for the Lost Boy is an album that goes soulward like medicine, but with the sweet taste of feasting on your lips. He has, with his fellows, given us a collection of songs that feel like the ongoing theme-music for our lives. Faith, doubt, family, failure, a wild and holy God, an awful vulnerability, and and exile that feels like forever, but has an expiration date. Andrew keeps dealing honestly with our pain, our sin, our apprehension of real loss, all the while calling us to be who we really are. He has stories to remind us once again. And once again it’s worth every penny spent to experience this trip into beauty, guided by so able a fellow as Andrew Peterson. In Light for the Lost Boy he has come to us again with his best. And for all the longing I feel in every note of Andrew’s music, longing for the Kingdom come and the world put right, when it’s over I am always eager for more. I love how this album, and Counting Stars before it, throws a light on the interweaving of personal faith and parenthood. One moment, I’m the child, longing for my heavenly Father’s affection. The next, I’m moved to reflect His love onto my own children. It’s like music for the dance of life. Thanks Sam for this. It will enhance our enjoyment of this album! 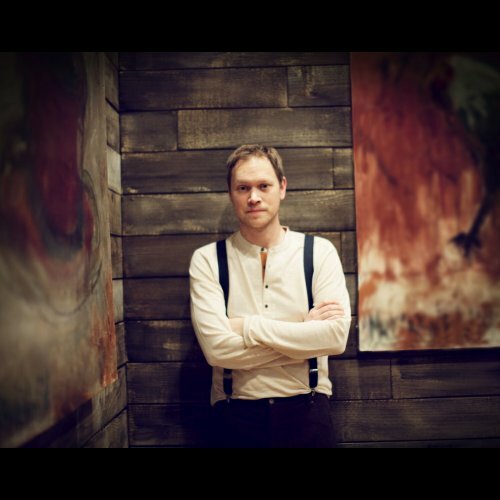 And you have put into words the way that many of feel about Andrew’s music and ministry. Thank you! Your comment is really kind and I appreciate it very much. Such a wonderful album –and an amazing artist who just grows and grows. I have to agree with you — The Ballad of Jody Baxter is my favorite song. I’ve listened so many time hoping to discover what he broke and why it was his fault. I also love the line the that his “brothers were singing out my songs when the song in me had died.” Gives me goosebumps. I just stumbled across this post after doing a search on “The Ballad of Jody Baxter.” Thank you for your thoughts on this album. As others commented, it will enhance my appreciation for Andrew’s work. God bless you! That’s very kind, Craig! God bless you back. Thank you for an insightful commentary to AP’s new album! I especially love how you have put into words the feeling/burden of realising we are broken and yet moving forward despite that. AP always manages to strike at the heart of this message and take it straight to my heart! I’m so looking forward to hearing him when he comes to the UK this summer!